As this blog is being written, the world appears to be more volatile. The trade talks, the government shut down, geopolitics, Brexit, and the volatility of the stock market. World leaders are meeting in Davos, Switzerland, and someone I follow closely, Ray Dalio, is warning world leaders of a global slowdown. Now and every day, there is a headline about a company losing money because of domestic politics and the trickle-down effect hasn’t been absorbed into the markets or Main Street. Enough doom and gloom. In my opinion, its time to shut off the noise. It’s time to reflect on your loan portfolio and look out to the horizon. It’s time to ask yourself, “Should I Be Asking Better Questions”? One thing is for certain, the landscape is changing. Rates have increased +/- 200 basis points and too few loan customers have re-priced into rising rates. 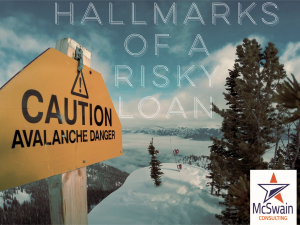 In the loan review world, we are seeing borrowers’ margin begin to compress for many reasons. So, that P&L you didn’t ask for last year, should you be asking for it? The inspections you do once a year, do you now need it twice a year? The inventory report you received, do you need it more often? Is it time to review your loan policy to see if its adequate in today’s economic cycle? Did I stress-test my portfolio? Are my quantitative factors in my ALLL analysis still valid today? Is the narrative in my credit memos enough for the complexity of the credits? Are my projections in line with the historical trends or am I being too optimistic in the projections? A good loan review will reveal an answer to all these questions. It’s time to start asking. At McSwain Consulting, we think its time to up your game. We can help through a variety of services. 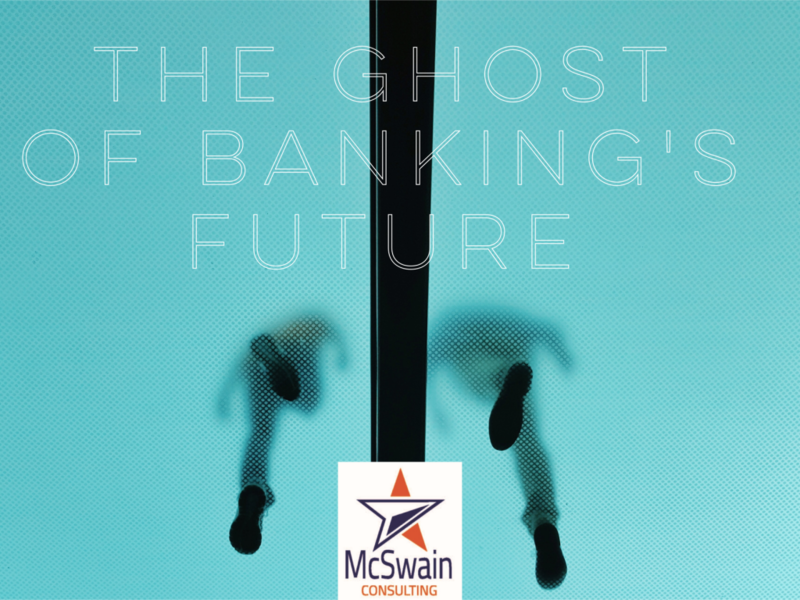 If you are interested in a discussion about your bank, please contact us at 405-880-1039 or david@mcswainconsulting.net or through our website at www.mcswainconsulting.net. Here’s the proof: How much money would you have right now if I gave you the ability to unwind any three financial decisions you have ever made? Years ago, after suffering a humiliatingly large dumb tax, it dawned on me that I have a seemingly unlimited ability to hit unforced errors and sabotage my business and financial success. I suspect you do, too. It turns out that the key to getting rich (and staying that way) is to avoid doing stupid things. I don’t need to do more smart things. I just need to make fewer dumb mistakes. The vast majority of our dumb tax is a direct result of emotional, overly optimistic, and poorly thought-out decisions. Every one of those three decisions you would love to unwind was an avoidable mistake. Many chapters can also help those in bank management as it relates to loans, loan reviews, annual reviews and the initial credit analysis. In one bumper sticker (which is Mr. Cunningham’s way of pointing out an obvious point), he says “Emotions and intellect work inversely. When emotions go up, intellect goes down. Optimism is a deadly emotion in the business world.” This is particularly true when there is a new request on the table and it’s a large transaction. Everyone is excited about the opportunity to the newest and greatest customer. Look at us grow! We do the normal analysis and possibly stress-test the individual credit, but we forget look at the 2nd, 3rd, and 4th order consequences. In loans, this could be the complexity of the loan, global analysis, and determining if we have the proper information and expertise to one, make a great loan decision; two, are we capable of servicing the complexities after the loan is made and is the borrower truly willing to open up their financial life so that we can get a true financial picture? In the ongoing servicing aspect, are we in a hurry to get the annual review completed and forget or don’t get all the information for the global analysis and therefore skip the 2nd, 3rd or 4th order consequences that ultimately could place last year’s biggest and best customer on the classified loan list? Are we analyzing the collateral properly along with the cash flow in the annual review to make sure both aren’t deteriorating? It is prudent to take some advice from Mr. Cunningham on his 5 core disciplines of thinking time and all 5 must be present. One of my favorite chapters in this book is Chapter 44, “Cause and Effect”. In this chapter, he distinguished the difference between cause and effect. Again, in analysis and annual reviews, we look at the effect and not the cause. He describes the cause as the problem or issue and should be measured with critical drivers. He describes critical drivers as an early warning system that illuminates where the loan might be veering slightly off course and gives you enough information, so you can do something about it before the situation becomes a problem. This is different than a K.P.I., key point indicators. In loans, a K.P.I. may be a debt-to-income ratio. It is an effect of the most recent financial information which is already stale and historical. A critical driver may be the average collected balance in the operating account as it relates to a month-over-month trend. You may ask yourself, what if the operating account isn’t at our bank? Well, that may be a 2nd, 3rd, or 4th order consequence we didn’t think about in the beginning. The first four chapters of The Road Less Stupid set up the discipline, which is really thinking about things and giving an order and disciplines to achieve. The next 44 chapters are short and can easily be read in 10 or 15 minutes, and each chapter ends with Thinking Time questions. Bankers are smart people and easily relate all these topics to banking. 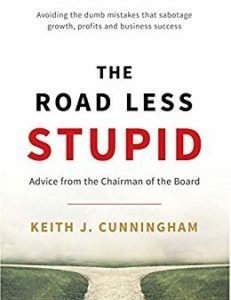 I highly recommend this book and if you enjoy it, Cunningham has another book, The Ultimate Blueprint for an Insanely Successful Business.” It’s about optics and measuring the correct optics and can easily be translated into your bank. Rural populations continue to decline, so what does that do to a local bank? How does a community bank survive when its bread and butter – the people and the businesses owned by the townspeople, are moving away or dying out? The pool of customers gets thinner each year. What’s feeding the local economy? Customers continue to highly rely on credit to get by, maxing out credit cards not only around the holidays, but getting one too many credit cards without the ability to pay them all off. Credit scores plummet. When it comes time to get the loan, yeah, thanks, no, thanks. It becomes a bigger risk for the bank. Johnny’s burger fry shack can’t get the loan because he financed the boat, the house, and Jim and Jill’s college education. Times are tough on banks, yes. 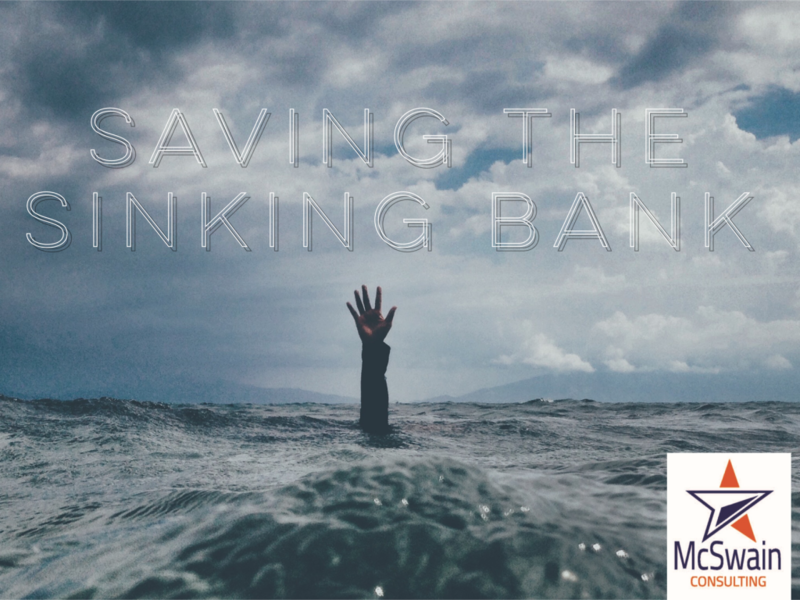 So, what is a sinking bank to do? Can they not only survive but thrive? Saving Tactic 1: Be innovative. Change is tough, and most people only feel comfortable doing what they’ve done in the past. Yet with changing dynamics in how and where people are doing business, banks must also change. Being innovative can mean reaching out to new markets, including other towns and even types of industries, and even becoming an online bank. Banks that never had to market or advertise in the past must now decide who they really are, how to position themselves to stand out, who they want to attract and then go after that business aggressively. No more just opening the doors and hoping people will walk in, or even drive though! This means employing people who are not simply paper pushers, but who are good people-people and salespeople. People who understand banking is a business that needs to attract business, not a commodity. Diversify. Own a niche for lending. Go for what the other guys aren’t. Become an expert in one area. What’s your specialty? I know of banks who have niches as an airplane lender, one that focuses on SBA loans and another that specializes in loans for vets across the country. Unfortunately, a lot of community banks are behind on this front, but it’s not too late. Can’t go it alone? Nothing wrong with that. Maybe it’s time to talk merger or being acquired, or your bank buying another! Join up with others who are doing what you’d like to be doing. There is great power in numbers, especially if it’s the right fit. Explore it. When I drive through a small town, I know if a community has a good bank because it’s thriving. That’s right. Just the opposite of what you might think. The town is not deteriorating. Streets are clean. The school looks good. In most cases, if you support your community, it will support you. Back in the ‘80s in Oklahoma, Gene Rainbolt bought many banks at a discount and made Banc First into one of the largest and most successful state banks in Oklahoma. Whether it’s innovation, a fresh workforce, a new market or a merger or acquisition, the time is now for banks to look at not only surviving but thriving. We all know the story of Scrooge. How the miserly old man was shown three ghosts during one night: the ghost of Christmas Past, the ghost of Christmas Present, and the ghost of Christmas Future. The moral of the story was that dear old Scrooge needed to change his ways to avoid a tragic future. The same could be said for the future of banking, particularly community banks. A quick look at the past, which I was a part of since I was a teen working at a community bank in a small town in the ‘80s, is almost watching in slow motion because compared to today, that’s how slow-paced banking was back then. Accounts were under someone’s name, not a bank account. Account statements and canceled checks were hand-delivered. If you were born before 1985, you likely remember going to the bank with one or both of your parents. Lobby traffic was busy back then. You’d look forward to that free sucker or piece of gum for waiting patiently with your mom or dad during the transaction. Then with technology – particularly computers and the Internet, the speed picked up. Drive-throughs weren’t just a big deal for fast food anymore; banking saw their drive-thru traffic increase in the ‘90s, which not only affects face-to-face communication and customer service, but the need for such a big bank to begin with. Banks got smaller and kiosks popped up. “Go where the people are” was the philosophy so stand-alone drive-thru for ATMs and deposits became a big deal in the ‘90s along with kiosks in grocery stores. When I had a bank in ’94, we had $37M and 37 employees in one office. Fast forward to 2012 and we had 21 employees, 3 offices in 3 locations, 15 minutes apart from each other but $80M in the bank with 1/3 fewer employees. Do the math. Fewer people. Less square footage. More money. The kiosk idea came and went in the span of twenty years. Physical is out. Digital is in. Then, dun, dun, dun: e-checks. Mobile phones and apps continued to grow into the 2000s and here we sit in 2017 with the ability to do all our banking right from our desktop or mobile device. Log in and password? Check. Mobile app for the bank? Check. Ah, but wait. If you no longer have a relationship with your local banker or go in to get that free sucker – if they are just a faceless click on the screen – why not shop around for loans? Why not invest in the hottest new app that all yur friends are using? You can even – gulp! – get approved with just a few clicks with NO IDEA where or who is handling your loan. And, you know what? Most folks don’t care. Especially not the Millennials. They want the latest, greatest, easiest, and they want it now. Whew. And that’s just the ghost of the Present! What of the ghost of the future? Where banking is going can either be exciting or downright scary, depending on how prepared we (as community banks) are to deal with the changes. If digital is in, what does that mean for the community bank? Embracing tech sounds like a pretty smart strategy. Let’s take financialtown.com software company, for example, It’s a video app where one can push documents out to the customer while on a video conference. Convenient? Absolutely. That’s where banking is going. phone, which might even his be smaller than the iWatch his mother is wearing. He or she might just have to blink three times to get a loan secured through the phone in the chip in his head. 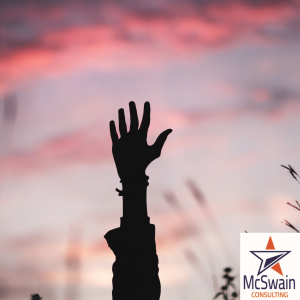 David McSwain is an Oklahoma bank consultant and president of McSwain Consulting providing loan risk management solutions and bank consulting services to community banks in Oklahoma, Texas, and Kansas. As a commercial lender in Oklahoma, a young person and single mother came to the bank with a mutual friend. They approached me about starting a business. We had several discussions over the next couple of weeks as she was gathering information. The projections and market research was adequate to make the loan request to start the business. It was more of a venture capital loan than a commercial loan, but the information was solid. Now it came down to the experience of the individual and management experience. We set the loan up for five years on monthly payments. The loan paid perfectly and as agreed. After the loan was paid off as agreed, the business owner requested a meeting. We met. The meeting was to expand the business with an additional location. At the time my biggest concerns were that she was going to increase her overhead two fold and cannibalize her existing business. After much projections on my part and cash flow analysis, I softly turned down the expansion loan. In my opinion, most bankers would have made this loan because of her track record of payment. The owner was obviously upset. So she set out to prove me and the world wrong. She sought individual funding. Fast forward two year’s later and the small business owner called me and requested a meeting. She was bringing her attorney, who was a friend of mine, and her accountant. After a quick conversation, the attorney removed himself from the meeting and the owner and accountant asked me to help them solve their problem. After having received the advice not to expand, she did it anyway and now she needed help from going broke. She was headed into bankruptcy. Fundamentally, the business had great cash flow. She needed to expand, but not to locations, just adding space. Her original lease was up for renewal and had an idea of what to do, but didn’t have the capital to move locations. I gave them a list of documentation I needed. It consisted of a financial statement over the past two years, income information and cash flow statements along with tax returns and many other documents. After spending an enormous amount of time analyzing the information, I called the accountant and owner. We had a meeting. Based on the information provided, I found a formula for success. At the meeting, I gave a presentation to the owner and the accountant of all the shortfalls I found inside the financials. The shortfalls were inventory controls, payroll controls, measured benchmarks and numerous of other things that were fundamentally wrong with running a business. After the negative, I presented a proposal for them. Under very certain covenants, the bank would be willing to make a capital loan to save the business. The main reason, the cash flow was there. Five years later, the loan paid as agreed. The entrepreneur established a retirement account, increased her take-home pay, established a retirement account for each of her employees, increased her income by 50% and her profitability increased dramatically. The moral of the story: your self-employed customers know how to do the work well. Most of them don’t know the financial side of the business. Over the past 20 plus years, I have seen this happen in all sizes of businesses. As Bankers, we are own worst enemies. We have blinders on when it comes to our customers. We are too close to the decision in many ways from loan growth to profitability inside our portfolios. But we won’t separate ourselves. That is where McSwain Consulting comes in. We have over 20-years’ experience in cash flow analysis and loan review in Oklahoma, Kansas, and Texas. We understand main street and beyond. A good friend and business partner’s definition of a good banker, “A good banker is one that will get you in trouble by loaning you more money than you can pay back”. Let’s not be that banker.